I'm delighted with this yogurt maker. I originally bought it as part of the Easiyo Starter Pack, which included two packages each of strawberry and peach yogurt base and culture. These were super easy to use (just add water, shake, and incubate), but I found the resulting yogurt too sweet. I then tried making a more traditional yogurt, using as a starter two tablespoons of goat's milk yogurt I'd gotten at Whole Foods and heating the milk as described below. I still didn't get the desired result. My third attempt was a huge success, and my family and I were hooked. I used powdered yogurt culture from leeners.com (there are many similar products offered online), heated whole milk in a double-boiler to 180 degrees, cooled it to 105-110 degrees, stirred in the culture, filled the insert, and put it in the incubator (which you fill partway with boiling water) for 24 hours. The result was a creamy yogurt with a delicious tang. Once, in a moment of distraction, I forgot to put the boiling water into the incubator (had heated and cooled the milk as usual and stirred in the starter). Surprisingly, I still had good yogurt, milder at first than other batches but of good consistency. After a few days in the fridge, it developed the same delicious tang of the other batches. The folks at leeners.com say you can use the yogurt from one batch as the starter for the next few batches, but I've had better luck using the powdered starter each time, usually mixing it with a tablespoon or two of yogurt from a previous batch for ease of stirring into the heated milk. You need only 1/8 teaspoon of the powdered starter, and that can be stretched by mixing one part starter with 3 parts dried milk (and still using only 1/8 teaspoon of the resulting mixture). I've also tried making yogurt using 2% milk, and that was equally tasty, just not as creamy. I believe you can also use 1% or skim milk. I've since bought three sets of the Easiyo jars and lunchtakers so that we can always have enough yogurt on hand. Based on another reviewer's concern about the safety of the plastic containers, I've tried using glass jars similar in size to the plastic; the resulting yogurt is equally tangy and of the same wonderful consistency. Small size container of freeze-dried culture many gallons of yogurt. We make 2 quarts of yogurt each week and the small container of culture has lasted more than 2 years. Culture must be kept in freezer. Cost with shipping is less than $20. Ok. . .I haven't done a review for a long time but I needed to put my 2 cents worth in on the Easiyo. My first batch came out wonderful! Very tasty! I was a bit disappointed that there was no starter packet included but I quickly got over that. They may sell more if they had included it to try, but that is probably a different package for more money. I actually will save a lot of money in the future by using store bought yogurt if I need a starter as I never intend to buy the packets. Store bought yogurt makes it very simple & more convenient. Also, the expense of the packets seems to be an issue with many reviewers. I started with 3 cups of organic whole milk & 3 Tablespoons of Fage Total All Natural Greek Strained Yogurt & 1/4 cup of nonfat dry milk. Brought the milk to a very slow rolling boiling, stirring continuously. Didn't even use a double boiler! (I want this to be as easy as possible.) I let it cool to 115 degrees F then added the yogurt & dry milk. Stirred with a whisk & poured it into the Easiyo inner container. Then put the lid on & it went into the prepared Easiyo outer container (prepared with heated water in the chamber). I left it on the counter overnight, put the inner container into the fridge in the morning. Let cool & had wonderful, fresh yogurt!!! It is so easy & great for an RV where electricity may be an issue. Well it is with conflicting emotion that I launch into this review.. I considered not doing one at all, but have decided to do so. Let me make it VERY CLEAR that I am writing this from a specific point of view. If your idea of "good yogurt maker" is having extremely easy production of $5 a quart yogurt made entirely of water and powdered products in a $25 insulated jar, then skip immediately to the next reviewer. Mine is not, and based on my careful reading of these reviews, neither is it the view of about 90% of those writing these reviews. If I were going to do this, I'd simply support my local establishments and buy the most expensive, totally organic gourmet yogurts (of all kinds.. goat, cow, soy etc and with most ANY flavoring). $5 a quart is about the MOST they would cost. If instead your idea is to make excellent yogurt, customized as to source (cow, goat, soy, etc), consistency, flavoring.. and at extremely low cost ($0.75/qt or so), then you'd do better just buying IGLOO 11029 ELITE COOLER JUG 1 GAL - RED or even one of those $4 white STYROFOAM "ICE CHESTS" sold at the local grocery or gas station because that's all you need (and that's basically what this is) and they are MUCH more flexible than this device. A VERY BRIEF tour of the internet will find several very competent sources for easy and creative methods of making yogurt and requiring no special equipment. Many of the sources are college or university sites. I mean after all yogurt making seems to be at least 3500 years old, and they only had fire pits and clay pots! :) Its very easy to make this a much harder task than it is, and I think ignorance is the major reason for it (I am guilty also.. I simply started with inadequate knowledge and perhaps the naivety that holds faith in the "magic fix"). I admire the creativity of those reviewers here trying to help by making the best out of a bad situation, but I'd suggest taking their "brewing advice" and leaving this "maker" for someone else to buy. I HAVE used this since I have it, but as I learn more, I see the serious shortcomings of this. All this device does is the "culturing stage" of maintaining a relatively consistent warmed temperature over the time required (the exact temperature isn't critical.. lower is slower, higher faster unless you get up around 125F or so where the cultures start to be killed). My prefered method is to use convenient clean containers such as empty peanut butter jars, etc. Put equal numbers of them filled with HOT (out of the tap.. not needed to be boiling.. about 120F) and the same number of containers filled with semi-cooled (105-115F) "yogurt mix" such as people suggest for culturing in these reviews.. typically scalded and partially cooled milk with an active yogurt starter. Place these containers into an insulated area (add a blanket or towels to help). Just as a side note, even using the Easiyo, it also works better if I wrap it after filling. The rest of the process is exactly the same as is required for this device, except you can make as little or as much as you want and can also simultaneously make multiple types at once.. for example fruit, plain and flavored, etc. If needed, check after 3-4 hours (just by feel, to verify the heat.. warm and toasty.. and don't disturb the yogurt jars.. it interupts the culturing) and refill the hot water bottles if needed. 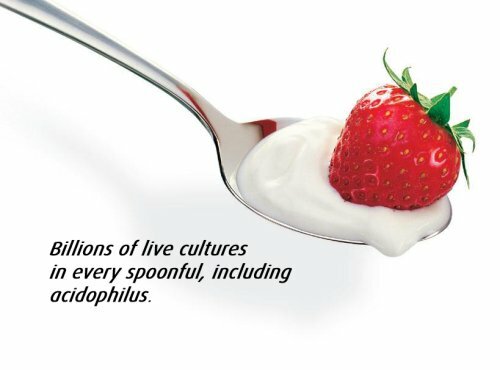 If you like mild yogurt you can probably stop at 4 hours or so and just refrigerate it.. if you like more tart yogurt continue as much as 12 or more hours. If you like thicker yogurt either hold the "scalding" for longer.. up to 30 minutes.. or add powdered milk (about 1/4 cup per quart).. or both. If making fat-free you may have to add a bit of pectin or gelatin. I like THICK yogurt and holding the scald (180F or so) for 30 minutes works fine (if you get "skin" on it, pour through a strainer before adding starter...just DON'T BOIL IT) I simply use a double boiler with 1-2 inches of slowly simmering water. After you do a couple of batches, experiment a bit (reading from the great internet sources) you will be brimming with confidence and cranking out fantastic yogurts where YOU are controlling the tartness, flavor, nutritional content, consistency, etc.. And knowing exactly what you are eating!! This EASIYO device is largely designed to sell the "convenience packs" that Easiyo makes, and not to be a "yogurt maker" in any standard sense. In fact I was surprised that the booklet doesn't even give a hint for making real yogurt (other than from their powders). I am in no way denegrating their product.. it seems to be decent quality, food safe, and satisfying for the market they are targeting. I also credit it with using no electric in doing so :). For that market I would rate this maybe a 4 star (overpriced for what it is). Easiyo Natural Yogurt Base and Culture, 5-Ounce are just yummy. They're expensive, however, although keep in mind that you don't need milk and they're on 4-for-3 here at Amazon. I've also used premium Greek style yogurt from the supermarket and regular milk, and the results are almost as good. I heat the milk at 180 degrees for 10-15 mins., chill it, and stir in a generous helping of the starter. Good! But the starter sold here on Amazon Yogurt Culture 2-Packs of 5-Gram Each doesn't work--I tried it 3-4 times. It came out very watery even with a long culture time. I wish I would have had this yogurt maker years ago! I'm an avid runner, and a cost efficient, easily digestible, and tasty protein source is something I'm constantly searching for. Easiyo yogurt is my new training companion. Not only is the protein quality high and packed with pro-biotics, the count of protein gram per 1/2 cup serving is quite high (in the skimmer variety sachets) which makes it a perfect food source for active folks- It's also insanely easy to make; Takes me 5 minutes tops to bring the water you pour into the plastic chamber to a boil, and pour it over the plastic container housing the sachet of Easiyo starter mix. I often set up a batch at night before bed (i've done it with a toothbrush in one hand) then leave it on my counter top to set up overnight...fresh yogurt is waiting for me in the am. This contraption has no plugs, wires, batteries; no electricity needed to make this yogurt. It's inexpenseive to operate, the sachets are affordable. And most importantly the yogurt quality is premium. I recommend this to fellow athletes and tight wads.